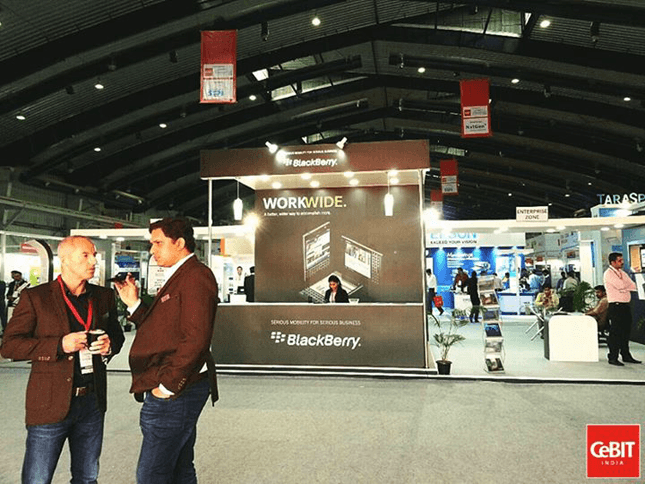 CeBIT – the world’s leading B2B Business IT and ICT exhibition made a debut in India this year in partnership with BangaloreITE.biz. InSync was proud to be a part of the event. 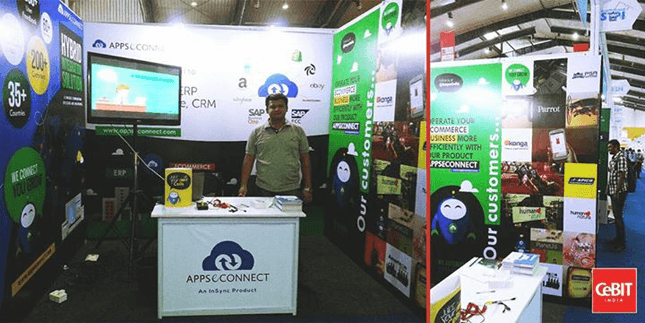 Our team exhibited our product – APPSeCONNECT, an integration platform connecting your ERP with Ecommerce, Marketplace and CRM. We were at Hall no. 2, Stall no. 28 and interacted with around 600-700 people during the course of the event. 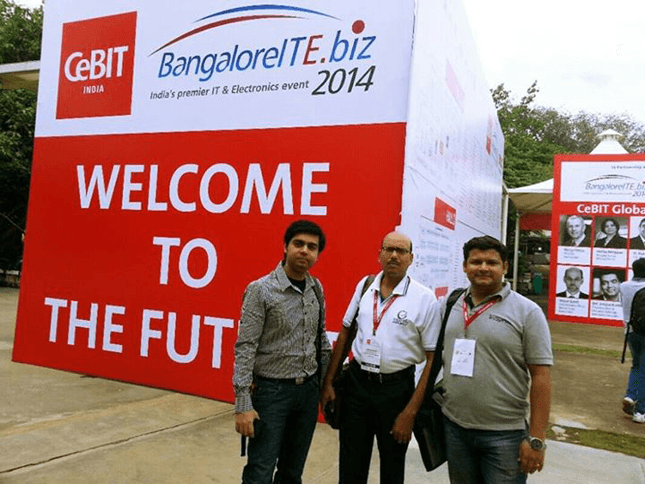 CeBIT India was a hugely successful event which pulled a lot of crowd. Around 8000-10000 people attended the 3-day event at Hall 2 and Hall 3. 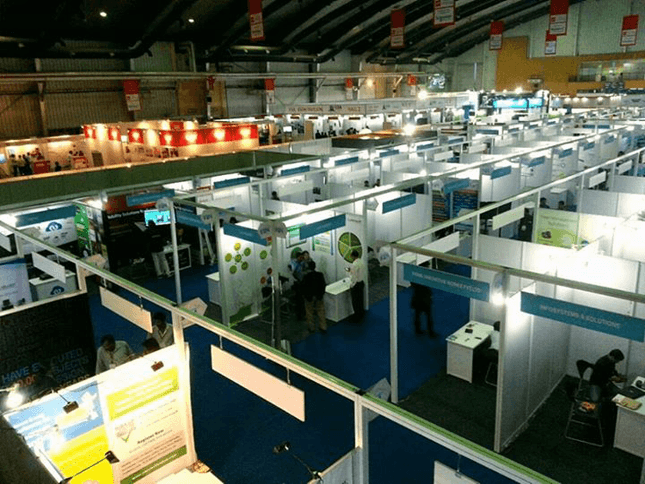 In the STPI Pavillion, there were near about 300-350 stalls of IT companies across India. The award ceremony and exhibitors’ networking and dinner took place on 13th November where we interacted with many like minded people. All in all we had a great experience, met a lot of professionals, got invitation to other events like CeBIT Hannover Germany in March 2015, International Forum for Training and Employment (FIFE) and Cote d’Ivoire on June 2015.